Mother's Day has become my favorite for arranging greenery. Greenery is a big deal. It's essential in every room of the staged home. Okay, maybe not the laundry room. I’ve blogged often about the reasons I prefer silk plants and silk flowers. Silks are especially helpful if the home you're selling is unoccupied, because they look beautiful without any attention. 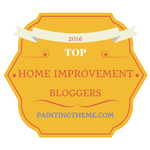 But, if you are living in the home you're selling, and you have a yard or garden, it seems a shame not to spruce up your staged home with the real stuff. Greenery lasts longer than flowers. 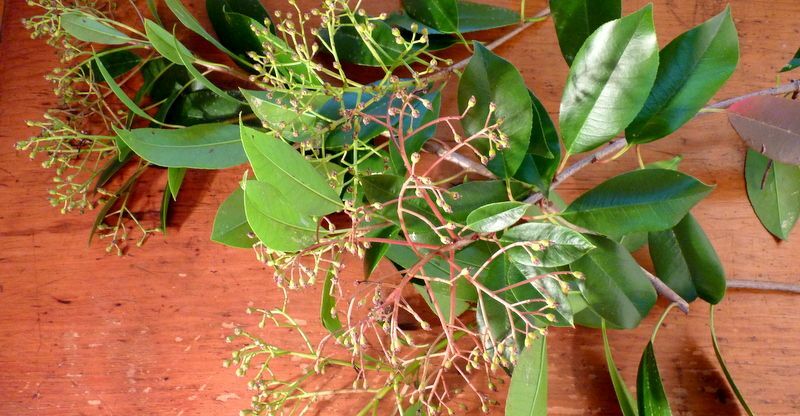 It’s less likely to wilt, discolor, or drop pollen. In other words, it will save you time and trouble. Plain foliage it less distracting –- and that’s important in a staged space. You want buyers to notice the persuasive selling points of your home rather than a bunch of blooms that take over the room. Natural greenery goes with any interior color scheme. While you may not have enough of the perfect color blossoms to carry you through the summer selling season, there’s always something green growing. Green leaves look refreshing. I love flowers, I have my own cutting garden, and I keep fresh cut flowers in the house from spring until fall, but when it comes to adding a living, vegetal quality to a room, nothing beats well-groomed greenery –- either a plant or a simple cluster or foliage. 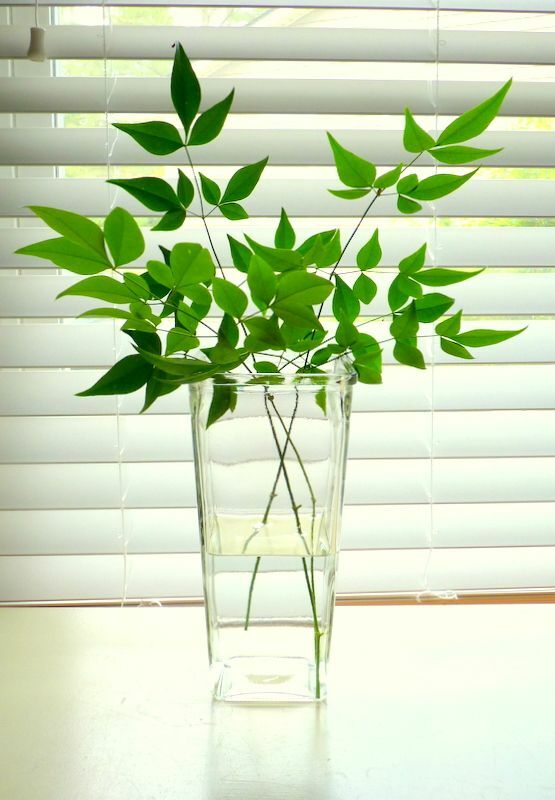 Euonymous clippings to make a simple arrangement in glass. 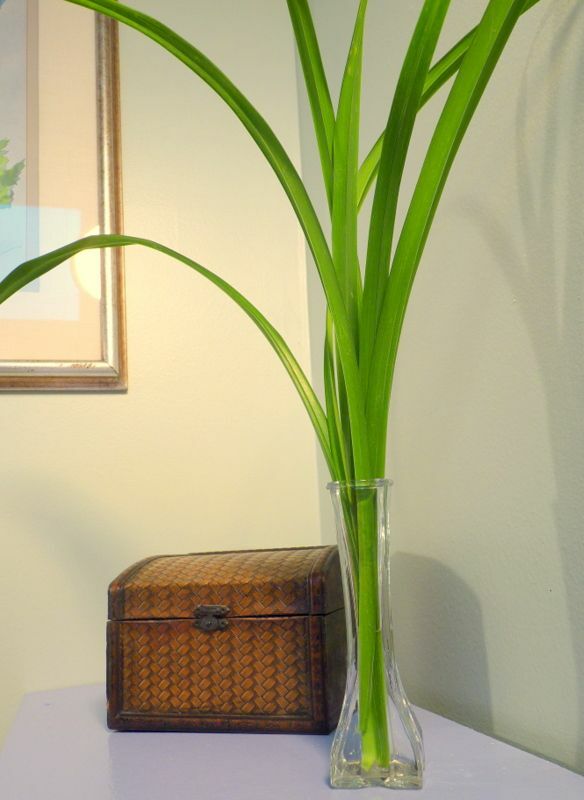 bud vase holds the strappy leaves of daylily plants. Simplicity is what we’re talking about here. 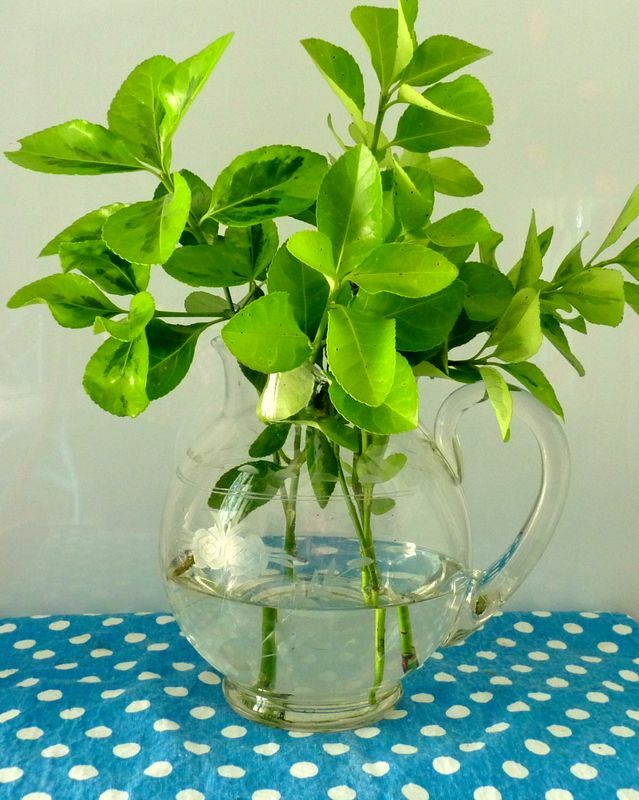 To make that simple cluster of greens extra refreshing and upbeat, I like glass containers. Nothing matches the clean impression that glass gives. Whether it's that spa-like vibe you want in bath or bedroom, that spotlessly clean feeling in a kitchen, that sophisticated mood in the living room, or that uncluttered sensation in the foyer, glass is your go-to floral container. 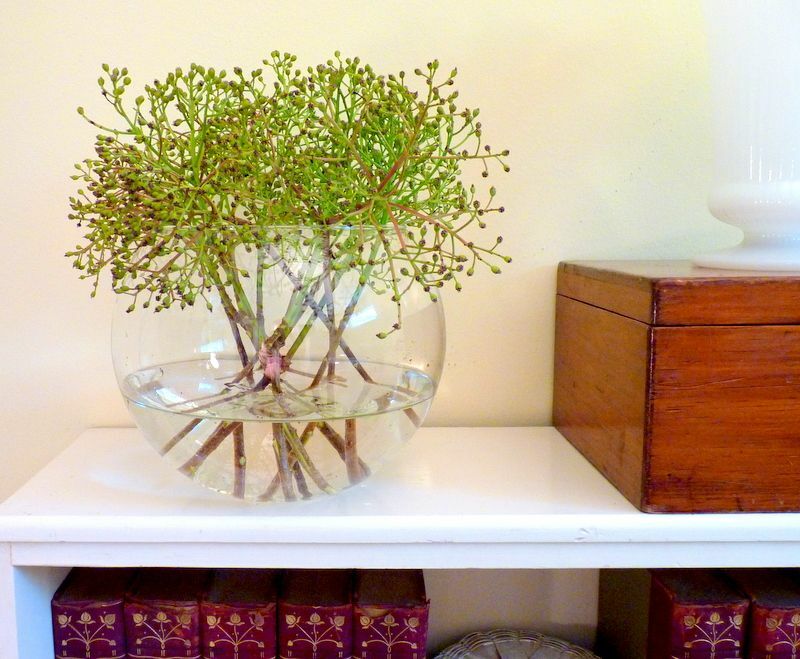 Glass vases will never clash with a room's color scheme. And they won't steal the show from the arrangement itself. Here are some pointers to make your greenery in glass even more successful as props in a staged room. Use real glass, not plastic. Real glass looks clearer and reflects light the way plastic doesn’t. Crystal is good too, but I always discourage people from displaying anything too valuable in a home for sale. Clean your glass until it glistens. Scrub it with a magic eraser, rinse it well, and dry it with a microfiber cloth to remove spots and stains. Fill the container only half full. People feel good when they see the surface of water. It’s a flat and level surface, so it’s grounding. Clear water builds trust; it sends a subtle message of transparency. Choose only unblemished specimens. Since, without flowers, there won't be a riot of color and textures, each stem, leaf, or blade of grass should be as near to perfect as you can manage. like the sole makings of a striking arrangement, until I removed the leaves. to focus exclusively on more interesting parts. A fishbowl makes an ideal container. the greenery after the roses or daisies or lilies have lived their lives. vessel. Chances are it will look downright elegant. 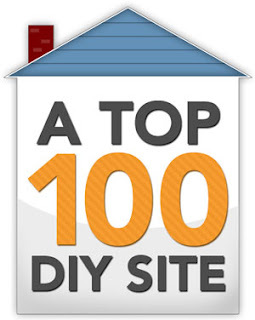 $4.99 eBook, DIY Home Staging Tips to Sell Your Home Fast and For Top Dollar. Download yours now and start staging today. Every home is staged, whether intentional or not. Stage yours to win a buyer.